Joost Heymeijer, who runs in-flight catering at the airline, details their buying strategy, which, interestingly, involves buying and then storing wines in a “Fort Knox-style” facility in Burgundy: The Emirates stash currently has almost 4 million bottles slumbering, some of which have escalated in value. Sadly, that seems to be the point as Heymeijer said in the story: “It’s an investment. We look at it like a commodity.” Ugh. When they buy, they buy in 10,000 bottle lots, often from Champagne and Bordeaux. But they have even snapped up Burgundy, buying 2,000 cases of Corton-Charlemagne, cited as a tenth of the total production of the appellation. They do pull some corks though, serving 9 million glasses of champagne last year, among other things. Check out the story for more details. One amusing item appeared in the kicker. Asked about the Bordeaux 2015 vintage, Heymeijer replied “Not as good as 2010, but in Saint Emilion, Passat, and Margaux, it will be very good, probably better than the 2010.” Ah, yes, the renowned Passat appellation…probably a transcription error, but, yes, a case of top Bordeaux does sometimes go for about the same as a new Passat. 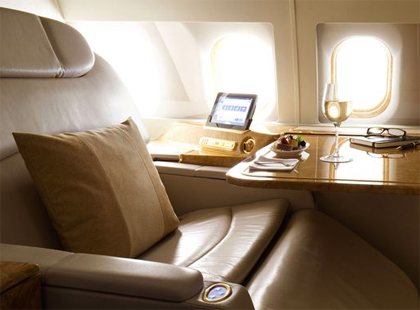 The post Wine on the wing: Emirates wine program appeared first on Dr Vino's wine blog. After Charly’s death in 2015, La Revue de Vin de France reports, the family resolved to sell the domaine. The buyer is Martin Bouygues, French telecom billionaire and 481st richest person in the world. In a way it is kind of surprising that a billionaire is attracted to the Loire, which is generally a region that favors low-key wines and hasn’t attracted big fortunes to be tossed around since the day of Francois I. Perhaps that is changing? Doubtful. Clos Rougeard is arguably the pearl of the Loire, now snatched up as bauble for a billionaire. But at least he is discerning! And the estate doubtless cost less than one in Musigny. LARVF doesn’t report on changes the wine making. 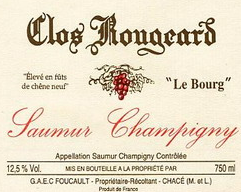 The post Clos Rougeard sold to billionaire appeared first on Dr Vino's wine blog. While this price is low for restaurants compared to many by-the-glass systems, it does seem steep for consumers. Nonetheless, the company continues to raise capital at an astonishing clip. Sales were briefly halted in 2014 after complaints of exploding wine bottles. The company now recommends using a “wine bottle sleeve” when opening bottles. The last company in the wine space to raise this much private equity was Lot 18, which raised $33 million in 2011. 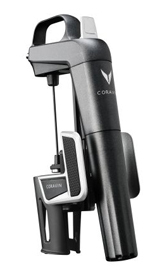 The post Coravin raises another $22 million appeared first on Dr Vino's wine blog. Daniel Johnnes may be the closest thing the American wine world has to Burgundy royalty. Yesterday he announced that he has joined Grand Cru Selections, an importer and wholesaler based in New York City, as a partner. It’s a big move. “This is an opportunity to be a partner in a young and dynamic company that I didn’t want to pass up,” he said by phone. Johnnes, 60, helped pique America’s interest in Burgundy wines When he was a sommelier at the erstwhile restaurant Montrachet in the early 1990s, he hosted winemaker dinners with the likes of Christophe Roumier and Dominique Lafon that encouraged American collectors to add Burgundy to their cellars. In 2000, he tapped his connections in Burgundy to hold the first “La Paulée de New York.” This bacchanal now alternates annually between NYC and SF and is marked in red on the calendar of collectors. It also functions as a sort of “Burgundy university” for the sommeliers who work the event. Johnnes brokers a number of wines including Roumier and Lafon that he will be bringing to Grand Cru. 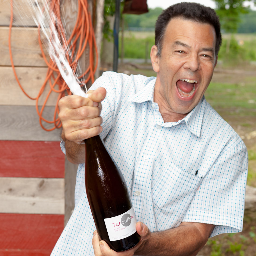 He was #4 on our NYC wine power list a few years back. He currently is spending a year in Lyons. Grand Cru Selections was started in 2010. Ned Benedict, a founding partner, said of their strategy: “we’re trying to build a really well-conceived portfolio of wines. Burgundy is obviously really close to all of our hearts.” But, he underscored, “we’re not trying to become a house of Burgundy–other regions are very important to us too.” Their portfolio includes the wines of J.L. Chave, Marquis d’Angerville, and nine wines from Piedmont, among others. The post Daniel Johnnes, Burgundy specialist, joins Grand Cru appeared first on Dr Vino's wine blog. Charles Banks, a former owner of Screaming Eagle whose current wine and hospitality holdings have been pegged at $200 million, was indicted in federal court today on two counts of fraud. Banks is accused of defrauding Tim Duncan, the NBA legend, of $20 million in investments. The indictment was unsealed Friday in a San Antonio courtroom, where Banks surrendered himself and was led into the courtroom in handcuffs. Banks surrendered his passport and a $1 million bond was issued for his release pending trial. He is facing a potential maximum sentence of 25 years in federal detainment. The FBI has been investigating Banks, 48, for a year. 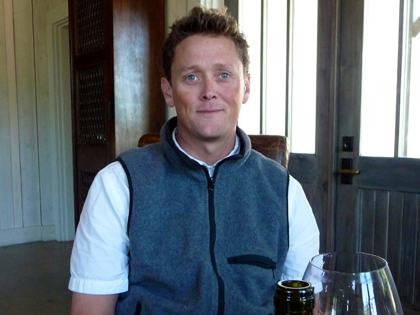 Banks has amassed a global portfolio of wines under his Terroir Capital that includes Mayacamas of Napa Valley, Qupé of Santa Barbara and Wind Gap of Sonoma. The company was a founding partner in Sandhi, though that stake was sold earlier this year. The post Charles Banks, owner of wineries, indicted on fraud appeared first on Dr Vino's wine blog. Vietti, the Barolo winery founded in 1893 and known for its single-vineyard wines, has been sold to the American Kyle J. Krause. According to Wine Spectator, the sale includes the winery in Barolo’s Castiglione Falleto, the brand and 84 acres of vineyards. Luca Currado, enologist and current head of the winery, will be staying on as CEO. The parties did not reveal the price paid. 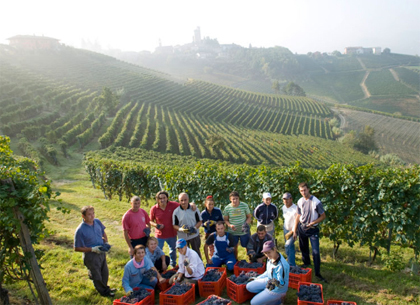 The story is a curious since top vineyards in Barolo generally get sold to…people in Barolo. Perhaps the increased interest in the wines of Barolo is driving international investor interest in seeking real estate plays or trophy wineries. In any event, the recent dollar strength certainly helps American buyers. And the prices they are willing to pay are now high enough to pry the keys to the cellar out of the hands of some locals. Either way, Vietti seemed to really be on a roll with their wines and I am surprised to learn that they have sold. Kyle Krause owns a chain of convenience stores based in Iowa known as Kum & Go. (The corporate umbrella of Krause Holdings includes Solar Transport, a hauler of refined fuel and the Des Moines Menace, a team in the fourth tier of the American pro soccer pyramid). It’s hard to imagine Vietti on the shelves of a convenience store but if that happens, it will certainly give Kum & Go a leg up over 7-Eleven’s wines! With 400 stores in 11 states and $2.1 billion in revenue, Kum & Go ranks 163rd in private companies in the US according to Forbes. It was founded in 1959 by William Krause as Hampton Oil Company. Krause and has wife Sharon have five children. Krause told Wine Spectator that “My mother’s family is Italian and I have always had a passion for Italy and for Barolo.” He has been acquisitive in Barolo, purchasing some 30 acres of vineyards last year, though not always emerging as a successful bidder. The other sites Krause owns in Barolo will now be folded into Vietti. Currado says they will increase the quality of Perbacco, their Langhe Nebbiolo. Hopefully it will remain the great buy that it is today. The Barberas are also excellent values. The post Vietti wine sold to US businessman appeared first on Dr Vino's wine blog. 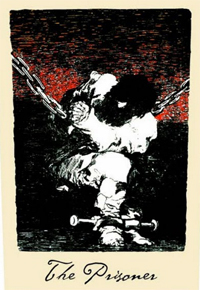 Tumult (anarchy?) is the current state of the main political parties in Britain after the Brexit referendum. 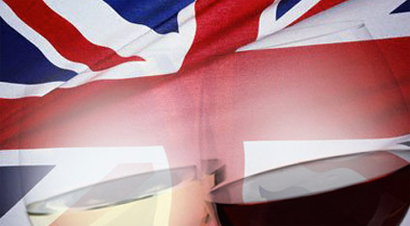 Will the vote to exit the EU leave the British wine trade in any better shape than the political parties? Post-referendum, the pound Sterling has fallen to 35 year lows against the dollar and tumbled nine percent against the euro (and even more as jitters about Brexit gripped the currency market earlier in the year). Historically, wine was one of the things par excellence that the British traded for: Adam Smith observed this in his example of “wine for wool” highlighting the comparative advantage of nations. (More recently, England has seen a domestic wine industry emerge but it is still not enough quantity at low enough prices to slake the thirst of British.) So the quick take is that Riojas, Burgundies, Baroli, and all other euro-denominated wines just got nine percent more expensive. (The currency-related price increases may take several months to filter through until existing inventories need to be refreshed at the new currency levels but preliminary reports indicate it is already being felt in France.) With 80% of wine in the UK sold at retail and much of that at thin margins, the consumer will feel the brunt of the currency impacts. Over half of the price of the average bottle of wine in the UK is tax, so the government could conceivably cut the wine tax to offset the currency effect. But since HM Treasury is as desperate for revenue as most treasuries, that is highly unlikely especially since wine brings in £8.6 billion to the public purse. There is, of course, the human element too and many non-British EU citizens live in Britain and work in the wine trade. London is a hotbed for restaurants and there are many non-British EU citizens who work as sommeliers. Their futures are all up in the air now. With all the uncertainty, the Brits could certainly use a glass or two of wine. But whether they will continue to reach for it with such enthusiasm remains to be seen. The post Brexit and wine appeared first on Dr Vino's wine blog. Late on Friday, Governor Andrew Cuomo vetoed a bill that would have made wine shipping easier for New York wine retailers. The bill protects wine retailers from being penalized by the NY State Liquor Authority for potentially violating the laws of other states. That’s right: other states. Why would the Governor veto a bill that both houses passed by 90% last summer? Your guess is as good as mine. But that language about selling to minors is usually the hallmark of wholesalers’ argument against liberalizing wine shipping–technology exists to collect taxes and provide age verification. Now it remains to be seen if the legislature will override the veto with a two-thirds majority. The Governor also called on the SLA to hold “a series of roundtables” on how to modernize the industry starting next March. We shall see if these roundtables include any consumer representatives but since a recent SLA ad hoc committee did not, I will not hold my breath. The bill stems from a long-running case of Empire Wine, a retailer in the Albany area that is active in internet sales. The SLA had sanctioned Empire for violating other states’ laws and the legislature saw that as overreach, thus passing the bill. The post Gov Cuomo deals wine shipping a setback appeared first on Dr Vino's wine blog.